Family-owned	Home is where the heart is. Drawing on a lifetime of experience, we have established an authoritative diamond design, polishing and finishing source in Canada. We pride ourselves in our world-class diamond cutting and polishing atelier located in Prince Albert, Saskatchewan. Our team of diamond heads are led by master diamond cutter, educator, diamantaire and designer- Mike Botha. We offer independent jewellers, goldsmiths and designers our range of diamonds collectively marketed under our Sirius Star™…the world’s brightest diamond® banner as well as our Magen David Diamond© (Shield of David) and recently announced shape- American Star. 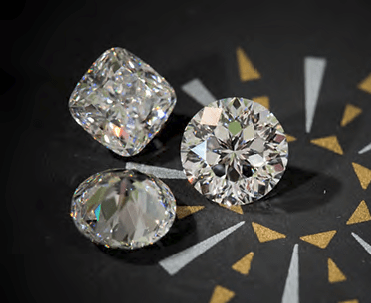 In addition to the above, we also offer our Customers a dedicated diamond repair, re-cut and re-polish service, with optional laser inscription and grading by AGS Laboratories. We value each and every relationship. We’re passionate about our Customers- other family-owned business like ours- the pillars in their respective communities. Our diamonds are only available through an exclusively appointed network of independent jewellers, goldsmiths and designers. If you’re looking for diamonds that are a cut above the rest- talk to us. We’d welcome the opportunity to show you our stars. Each and every one of our Customers have a direct-to-factory relationship, and are welcome to drop in anytime!